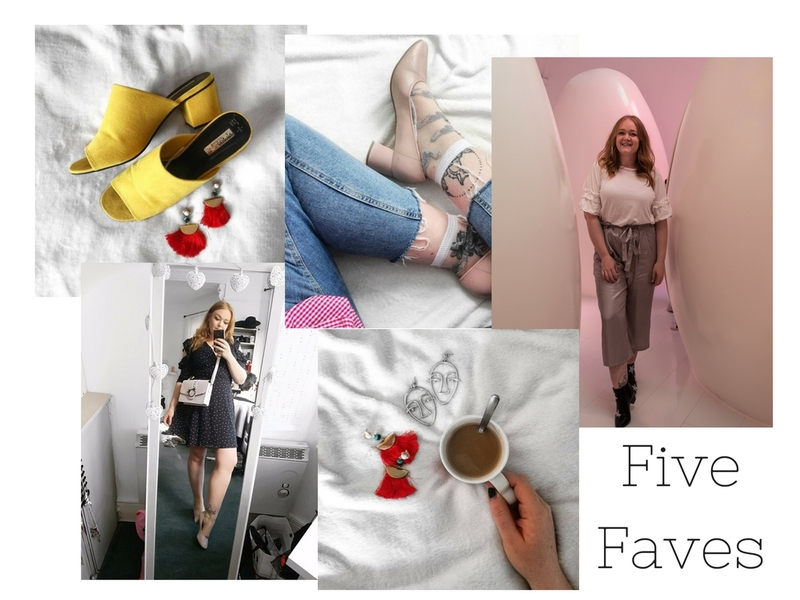 I thought I would do a quick post on my five favourite "trends" (I guess you could call them that) at the moment! 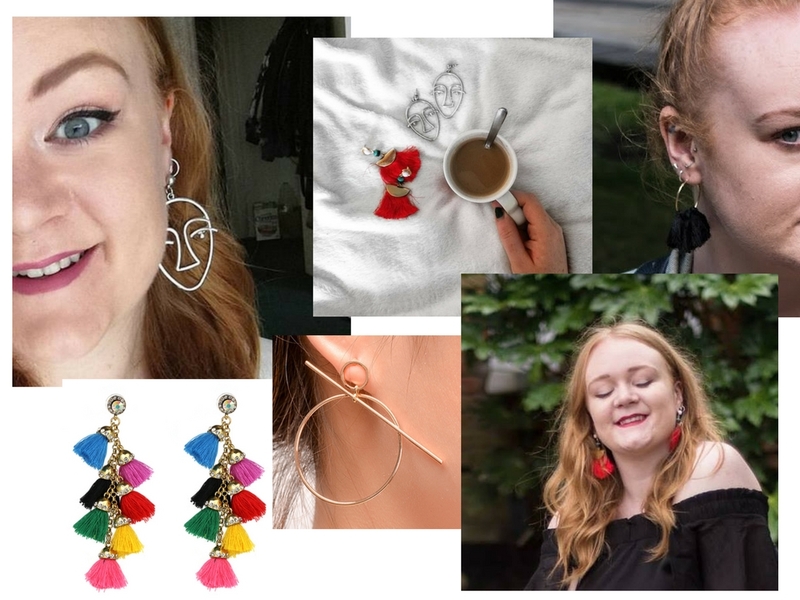 I don't like to think of myself as a MAJOR trend follower - I love my vintage, second hand, and I basically only shop from the sale sections online - but there are some trend led items that I just can't resist. So, lets get into it! Number one is gingham - I love this table cloth trend for summer! 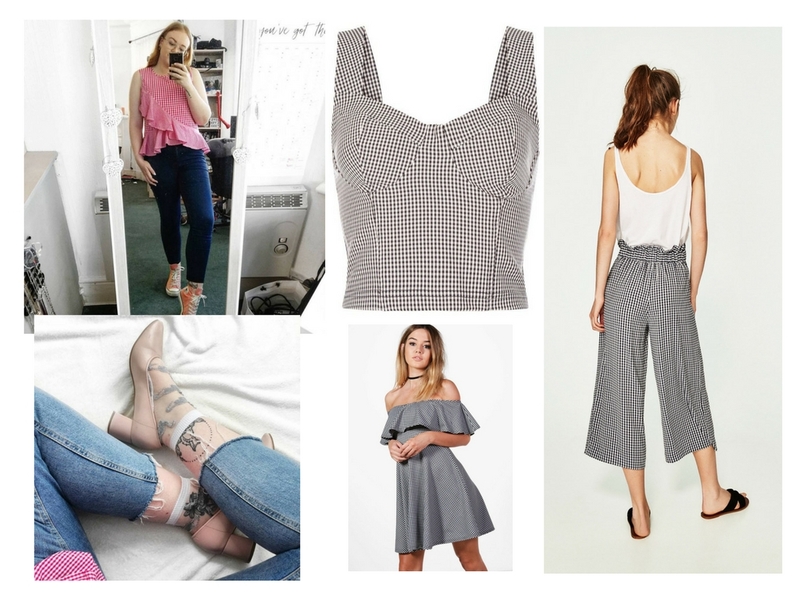 I haven't invested too much into this trend just yet as I'm not sure how much longer it will hold on, but I couldn't resist this ruffle top and this bralette in the New Look sale. I did order these Zara gingham culottes but when they arrived I wasn't feeling them, and returned them - I may live to regret that yet! And this Boohoo dress is so cute for late summer nights out! Wrap dresses are THEEE most comfortable and flattering shape of dress I have ever come across I think. I'm seriously in love with this style! I've had this Zuzana Vesela wrap dress for a year now and still love it so much! It's amazing quality and I think it's the kind of piece I'll keep in my wardrobe forever. I got this blue New Look wrap dress and I'm just waiting for an opportunity to pair it with my yellow mules - someone please invite me to something slightly fancy! 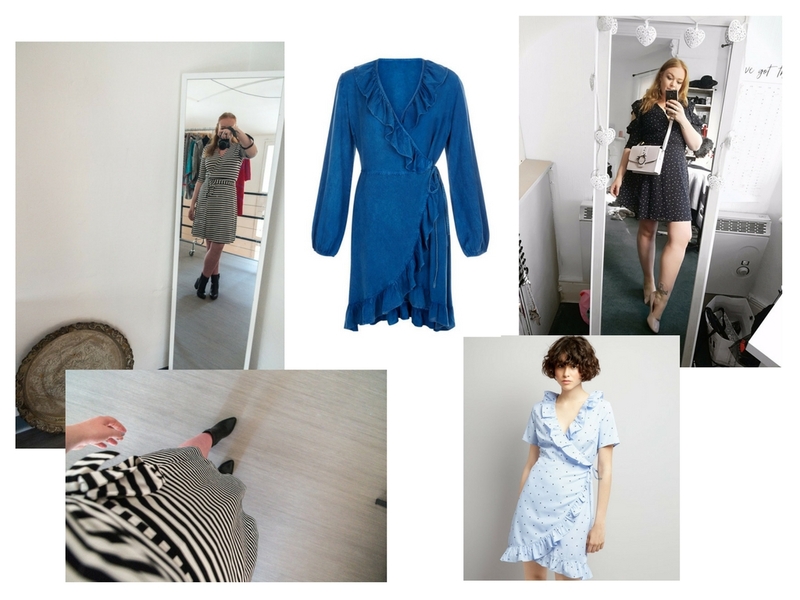 Wrap dresses are all the better with extra frills in my opinion - this light blue one is so pretty. 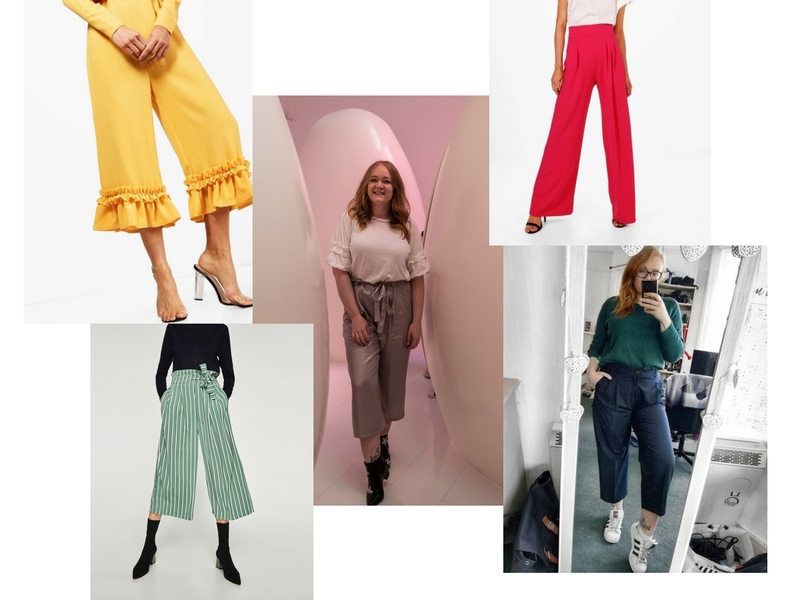 Something else I've been loving are - fancy pants! Literally. Give me bright colours, flares, frills, prints, stripes, metallics - all of it, and I'm yours! Last but not least - mules. Oh my god, mules. I love them. The comfort, the style, the colours - obsessed! These yellow ones are from Primark and add so much colour to any outfit! 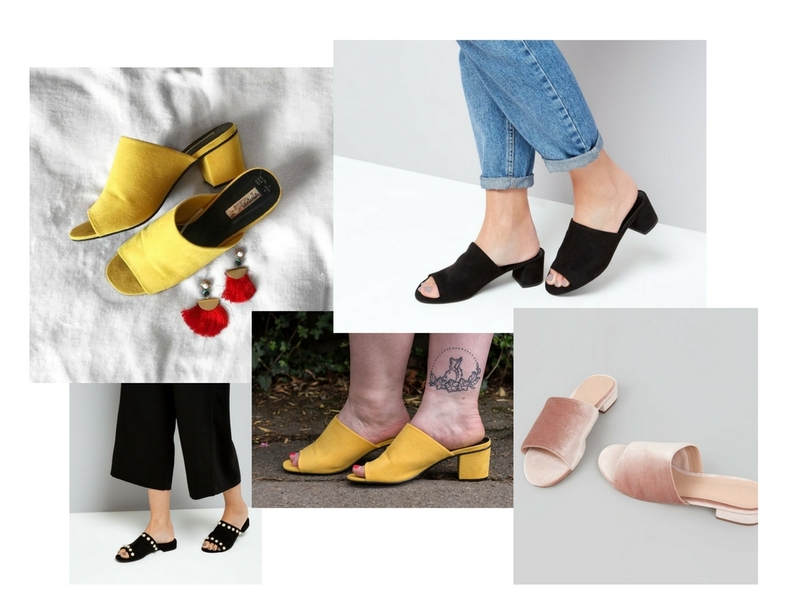 I also purchased the black New Look heeled mules - I absolutely LOVE the pink velvet and pearl embellished ones too, but I think two is enough for me now that we're coming in to the end of summer, and soon it'll be boots season - YAY!